Although I am thrilled about the big PR’s from my last meet 11 weeks ago, I cannot say that I am surprised. Consistently working hard & smart will result in progress, and that’s a fact. I made a few changes to my mental game going into this past weekend and managed to have a lot of success from the changes. There is something surreal about living in the moment that you have anticipated for months. After spending hours thinking, envisioning, and wondering what the view from the platform would be like, finally the time came to do the damn thing and I have almost no memory of it. As absurd as it sounds, I’m thankful that there is footage of the day or I might wonder if it actually happened. 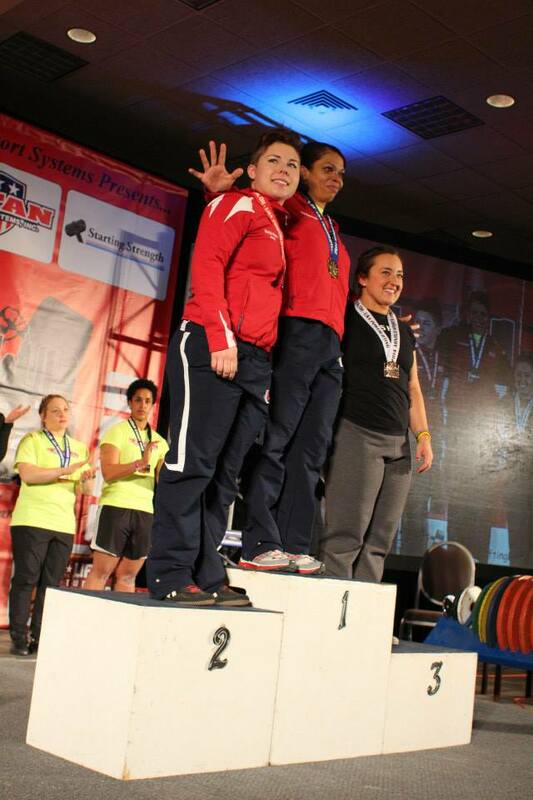 The weekend was full of Powerlifting at the highest level that I’ve ever seen.. I shared the platform and rubbed elbows with Powerlifting legends, made new friends, and witnessed some incredible lifting. Being amongst those people is both humbling and inspiring. The common denominator among everyone is devotion to this sport, no matter if they’ve been at it 1 year or 30 years. This weekend was the best experience I’ve had in Powerlifting thus far and I am really excited to continue pursuing this sport with such a great community. I’ve had many questions about what is next for me. First, April 26th is the Alaska State Powerlifting Championship in Anchorage, and then second, I’ll be competing at Raw Nationals in Denver on July 19th. Preparation for these upcoming meets has begun. 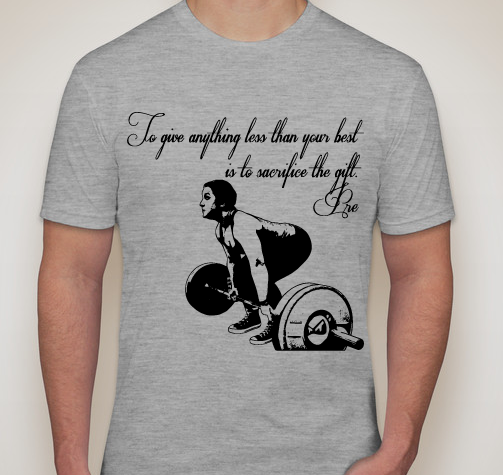 It started with writing goals down on paper – something I have never done for Powerlifting. Goals do not just have to be quantifiable, they can be softer in nature. I have lots of improvements to make… Things can always be better. 23 days until I step foot on the biggest stage of my life. It is surreal to think we are that close… This countdown first began last July – almost seven months ago. That is almost as long as my Powerlifting career. These last few months have started to shape me as an athlete and I have learned some crucial things about myself as a competitor. Prior to December, I didn’t know what motivated me. Ever since I can remember, I’ve been a competitive person, so that has played a role in my drive as a Powerlifter but now I know more about myself than that. I am figuring out what I need to thrive. These things light the fire inside of me that has always been there, but has not burned quite as hot as it does now. Since I started Powerlifting-specific training last June, my training has been primarily on my own. That is good to a point, but I’ve learned in the last couple of months that camaraderie and training parters can bring a LOT of positive to training. I now have a good balance of both: my treasured alone time under the bar, as well as regular group training sessions with the bros (and lady bros ). The next 3 weeks are going to fly, but I am savoring every moment in the present. I need every single rep, all the hours of training, sleep, etc. to feel ready. Not physically — physically, I’m ready. Now it’s time to get my mind right. It won’t be long before I’m visualizing the event center, my warmups, interactions, and the exciting moments on the platform. I’ll be packing my suitcase in my head, putting together the pieces of my outfit, and planning game-day fuel, among so many other things. That’s how I operate and I need the next 3 weeks to go through that. There is no rush. There are so many other athletes gearing up right now for the same weekend at the Arnold. Some have been there numerous times, and others are in a similar boat as me. Regardless of the event people are lifting in, we are all putting in countless hours of grueling work to get there. That alone is beautiful to me. I don’t care if someone is raw or equipped, big or small, young or old. Hard work is hard work. Can you guess who is in this photo below? Being strong is more fun, no matter your build! It’s been a month – oops! I’ve been in Texas, at home in Bethel, back to Anchorage, and then school started this week. You may remember that after Raw Nationals last July until December, I was on VERY quick cycles – about 6 weeks each – between a series of meets. That meant that we did not have a lot of time to mess with my training, so it was basically 3 straight-forward peaking cycles. 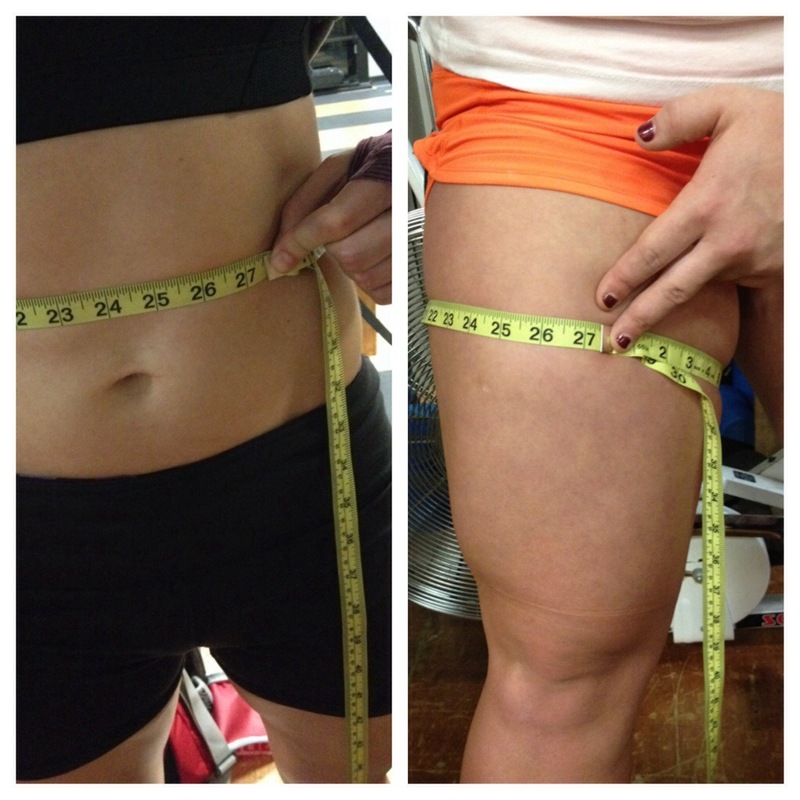 However, we had about 11 weeks after my last meet in December before the Arnold on February 28th (it is now 6 weeks!). That means training as I knew it was going to change, and change it did. I found myself doing MASSIVE volume and then blowing my own mind at the success of it. For example, a couple weeks ago I squatted 5 sets of 2 at 292-lbs and I was pumped about it, and then five days later I did 5 sets of 3 at the same weight. At one point, because of a misload, I squatted 315-lbs for 2 reps, which is 97% of my max squat (another detail: I jumped from 265 to 315 because of that misload). Lastly, I hit my Junior American Record Squat from September 2013 (300-lbs) for FIVE reps last Friday. My work on bench press has been similarly exciting. I’ve never been more thankful for rest days, and I have been sleeping 9 hours a night at a minimum… But I would not have it any other way. The upcoming 6 weeks are crucial. It is important that I train smart and continue to rest as much as my body needs because the Arnold is fast approaching. During the last month, I made the decision to go up a weight class. It is a huge jump from 72/75 kilograms to 82/84 kilograms (27 pounds at National/IPF meets), but it is essential. As I continue to powerlift, I will put on more lean mass (which will make me heavier) as I get stronger. The cut would only continue to wear me out, and trust me, it is NOT fun to get to a meet and have no idea what your strength is because you trained 5-10 pounds heavier for several weeks. Now I am 10-15 pounds UNDER the top end of my weight class, but that means that I can focus all my energy on getting stronger and I can also enjoy my life outside of the sport. Finally, Powerlifting to me is about absolute strength. HOW STRONG AM I? Cutting 10 pounds before trying to exhibit my absolute strength was not an accurate representation. This does mean that I will no longer be chasing the 72/75 kg Junior American Records at the Arnold to redeem myself after my December meet, but I have come to terms with it. It was fun while it lasted… Bring on the Open class! The change in my training has taught me a few things – one of which I remind myself daily: It is not supposed to be easy, and it will not be easy, not mentally or physically. That’s what makes it rewarding. Let’s get it. Over the past couple of months, I’ve really been feeling like my life has been constantly focused on the future. It has been a continued anticipation of working towards something – a lifting meet, finals, and a little vacation. Although it could be worse, it is not the way I prefer to live my life. I want to appreciate the present and live in the moment… But sometimes things don’t work out that way. In Powerlifting, the most important element is your Total and I cannot complain about a 23 pound PR for my Total. I was quite content with my performance on a personal level, and it feels phenomenal to look back to one year ago (my first Powerlifting meet) to look at the progress I’ve made. To be perfectly honest, just now was the first time I’ve actually looked at those numbers and it put a smile on my face. It really is all about the small victories.. The little steps you take in the grand scheme of things. I took most of this week off to deload, recuperate, and reset myself physically and mentally before a 11-week cycle leading up to the Arnold. However, I was feeling good yesterday, so I decided to work up to a heavy SQ double and just let my body dictate things. I managed to squat 305 for 2 reps (previously, the most I had ever squatted for a double was 300 a couple weeks ago) and then hit 315 for a solid single. Seems as though 315 is now an “any day of the week” kind of lift. Little victory, but oh-so sweet. My athletes (Courtney, Paige, Megan, & Dylan) were a group of stud muffins at the meet last weekend. The group of 4 went 30/36, which means they MADE 83% of their lifts with 9 PRs total! I could not be more happy with their performance. The only scary moment as a coach was when Dylan got caught up watching the women’s flight of SQs and forgot to start his warm-up. He went out and NAILED his SQ opener of 314-pounds/142.5-kg after only doing 5 warm-up reps at 132-pounds/60-kg. WHOOPS! But he pulled off a solid day regardless. I come out of every single meet a stronger athlete and so very motivated, no matter how I feel I performed. I learned so many lessons last weekend about myself as a competitor. My support system is full of die-hards and I can’t even begin to express how grateful I am. So, to all of you, THANK YOU and I hope you’ll stick with me because this is just beginning. Tomorrow I will be competing in the USA Powerlifting Southside Winter Classic alongside some people that I am extremely proud of. Six weeks ago, I rallied the troops from my CrossFit gym to spend the next month and a half getting strong with me with the ultimate goal of stepping onto the platform tomorrow to show off some serious dedication. We started with a crew of 8 and over time, the crew was whittled down to 6 (I’m considering Megan an honorary CF Alaska member, since that’s where she started). Over the last 6 weeks I have been tasked with taking a deeper look at this strength sport I have decided to devote countless hours to, not only as an athlete, but also as a coach. It has given me a new appreciation for the numbers that my coach churns out the week before a meet, because I know those numbers really do have meaning (not that I had any doubts in Matt’s attempt selection before this)… It was an interesting situation that I found myself in, considering these athletes were (and still are) infants (or even newborns) in their strength training lives. They stepped outside of their comfort zones joining me in this short journey and, if nothing else, I hope they have learned at least one thing new about their own character. Never would I have predicted the gains that some of them achieved in 6 weeks and I can’t wait to see it all come together tomorrow morning. One year ago, this is the meet that I competed in as my first Powerlifting meet… I stepped out of my comfort zone because I wanted to become a more well-rounded CrossFit athlete. I have competed in 4 full meets and 1 push/pull meet in the last 12 months… That’s still toddler-status compared to where I hope to be someday as a Powerlifter. This is also the 3rd in a series of three tightly scheduled meets (mid-September, late-October, early-December) that I planned on competing in after Raw Nationals last July to gain competition experience. It’s just about game time. Time to execute and leave it all on the platform. It’s that time of year again, where we all talk about what we are grateful for. Personally, I think it should be a year-round practice… Always show gratitude and appreciation to those that help, support, and lift you up. It is the least you can do. I am thankful for my family. They are the ones who have shaped me into the woman I am becoming. Not one single day goes by where I don’t think about how incredibly blessed I am to be encouraged and pushed by my family to pursue my dreams, no matter how risky. We all know things often don’t turn out the way we expect them to… My family has always been there to help me up, dust me off, and keep me moving down the road. 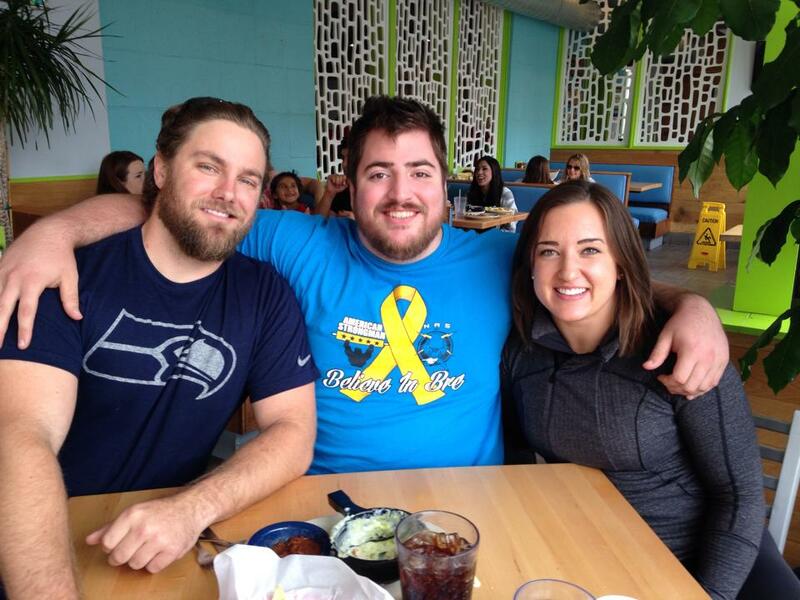 I am thankful for my Powerlifting & CrossFit communities. Each of the communities provide unwavering support, inspiration, and acceptance. Within the communities, individuals are the ones making this journey with me… Namely my guardian angel, Rob, and my coach, Matt. These two men have taken me under their wings and have enabled me to tap into a side of myself that I truly did not know existed. There really is a fire inside of me and it is not going to be put out. If I could give everyone in the world two things, it would be to feel the same passion about something that I feel on a daily basis, and to know what it feels like to have people believe in you, sometimes more than you believe in yourself. So thank you to my support system, because without you this would be impossible. Last, but definitely not least, I am thankful for my friends. It’s really wonderful to have the best friends that I have. Despite my slight (maybe an understatement?) obsession, leaving parties early, sometimes choosing training over socializing, etc., they are there for me at the drop of a hat to cheer me up or bring me back to Earth, depending on the circumstances… Just like best friends. Friday, Nov. 22nd marked the day that is exactly 4 months before my 24th birthday. Maybe you don’t know the significance of me turning another year older… I’ll explain. The Powerlifting world recognizes a “Junior” age category that is from 20-23 years old. I hold American Records in that age category and once I turn 24, I can never touch those records again. Know what that means? It means that I have until March 22, 2014 to defend my American Records and then after that, I graduate to the “Open” class which includes EVERYONE (yikes!) and my Junior American Records are anyones for the taking. Records can only be set in sanctioned (official) meets, so I basically have 2 opportunities – the Southside Winter Classic on December 7th, and the Arnold in February. This week is my favorite week of every cycle. It’s two weeks out from the December 7th meet here in Anchorage and I get to lift some nice and heavy weights this week. The excitement (for me, at least) started last Friday when I got to Squat 300-pounds for a double (video below). Then today I did two Deadlifts at 340-pounds (video also below). My body is feeling really good lately – I’m recovering well and feeling stronger every day. That’s all I can handle writing for now. I promise to NOT go 2 weeks without writing ever again. You all are the best and I can’t THANK YOU enough. This evening I am feeling overwhelmed with pride. CrossFit is what led me to this Powerlifting journey that I am embarking on and today, my two favorite worlds came together. 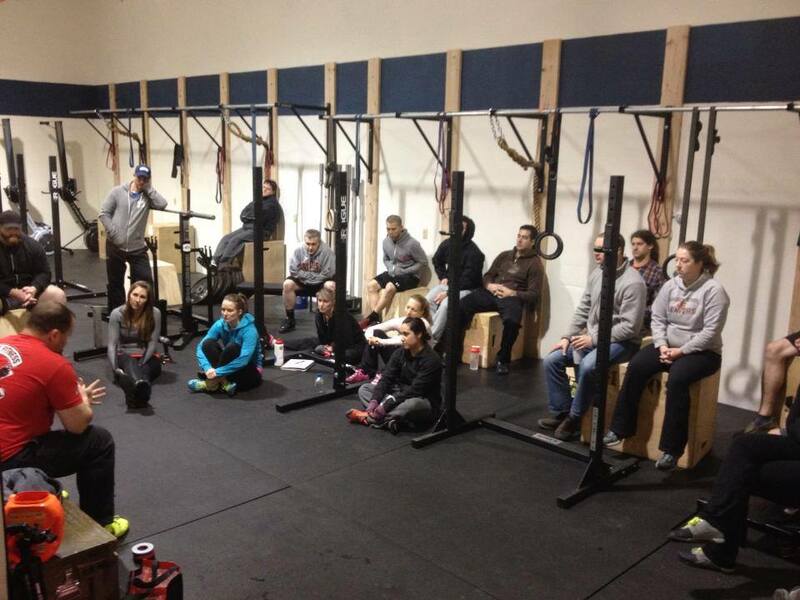 Athletes that I coach on a daily basis at CrossFit Alaska attended (en masse, might I add) a Powerlifting seminar that was hosted by CrossFit Anchorage, led by Rob Schmidt and myself. Although I see these people basically every day, the number of hands that went up when asked “How many have been barbell training for less than a year?” made me proud. These athletes are at the infant stage of their training lives, but they are still stepping out of their comfort zone to learn more about the niche sport that is Powerlifting. Throughout the seminar, I observed eyes and ears eager to absorb all the knowledge we had to offer. It didn’t surprise me, though. I’m surrounded by these inquisitive minds all the time and it keeps me on my toes as both a coach and an athlete. My training is done primarily on my own, or I jump around from training partner to training partner, depending on the day, workout, facility, etc. As of now, I have never had a problem with being self-motivated. However, when you spend so many hours working toward something, it helps to know you have a support system, people rooting for you. My support system is incredible and it makes my world go ’round. 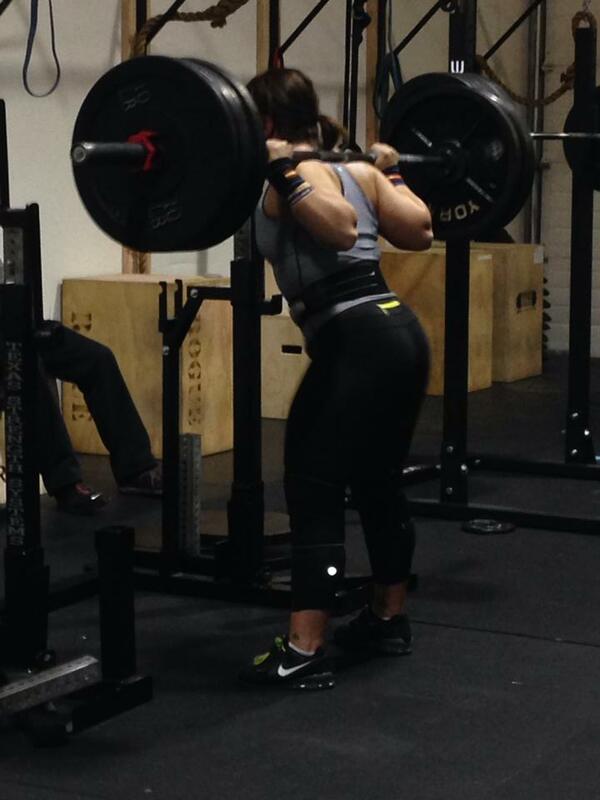 During the seminar, I worked up to a 1 rep max Squat, which happened to be a 5-pound PR (325-lbs/147.5-kg). All the hooting and hollering usually doesn’t have much of an effect on me, but today was different – these were MY people and I could feel their presence. If those who attended the seminar got ONE THING out of their afternoon, I hope it’s inspiration and the realization that you can do anything you put your mind to as long as you consistently work hard and keep your mental game in-check. Set a goal, make a plan, and get to work. 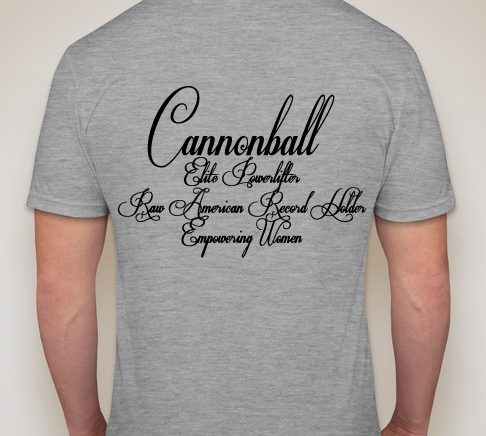 Thank you to everyone who attended & to those who have donated to help me pay for my trip to the Arnold in February 2014 (https://cannonballfitness.com/support-natalie/).